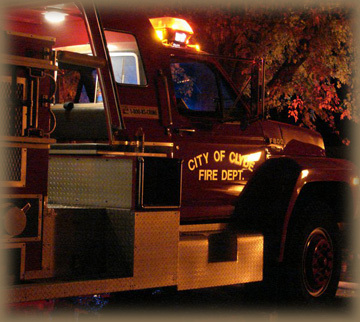 The City of Clyde maintains a Volunteer Fire Department consisting of committed community volunteers willing to risk their lives to save the lives and property of others. These volunteers receive no compensation for their time and efforts, aside from the gratitude of the property owners and their families. The fire department equipment is funded by the City of Clyde through tax dollars and any donations made to the fire department. Clyde also maintains an ambulance service with trained emergency medical technicians on call 24 hours a day to serve the needs of community members in need of emergent medical care. Once again, these trained medical technicians are comprised of dedicated members of the Clyde community.